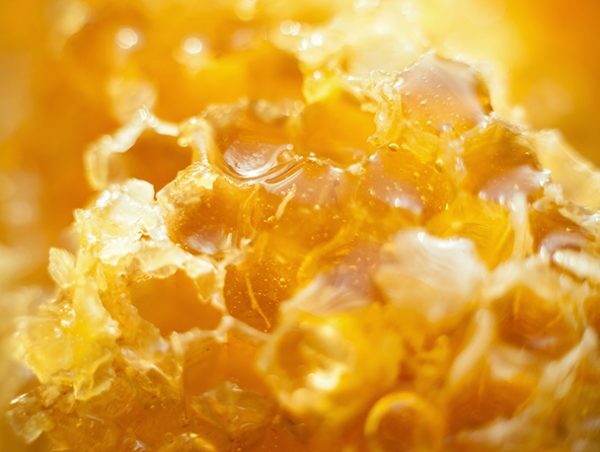 Honey absolute is of quite a thick consistency, similar to syrup but this liquid becomes very mobile with a little bit of warmth. We advise placing the bottle in a bowl of warm water for 10-15 minutes and then removing the integral dropper cap from the bottle to make it easier to work with. When I was a child, I was pretty much convinced bees hated my guts, since they would often sting me even when unprovoked. Back then I used to think it was because I loved their precious honey so much that they knew it at sight, trying to protect their treasure from glutton me. Time went by, I chilled out and they stopped practicing natural acupuncture on me and my love for honey just grew over the years. I’ve tried, as a food, pretty much every European and South American honey variety in the market, along with some of African origin, and this is one the most richly composed I know. Less sweet than my Beeswax (albeit still pretty sweet), this offering leans toward a powdery-creamy profile rather than the ‘glassy’ texture of Eucalyptus honey. It is flowery but not dusty, mellifluous with just a hint of propolis that is often lost in its more acidic nature. Besides the usual pairings (citruses, gourmand accords etc), it blends well with salty/bitter herbs (Clary Sage, Artemisia and, especially, Coriander), dark woods (Oak, I’m looking at you!) and a blend of Palmarosa/Ho Wood that I often use to mimic a more woody Geranium but works even better with Honey. This is actually tricky to work with as it is completely solid at room temperature (even in a hot city in Brazil) and needs a bit of warmth to even exude any scent (around 55º C for 10 minutes should be enough, I just let it sit near a refrigerator’s engine). Although It is soluble in alcohol and in most oils I’ve tried so far, the texture is sticky-grainy and it is fairly difficult to get precise amounts of it to work with, so a scale is useful here since even a tiny bit excess of this material can overpower other scents.